Past efforts at documenting the general history of television have tended to focus mainly on Western examples, often superficially aggregating the African experiences, when they are featured at all. A search for literature on the subject yields sparse results thus creating the impression of a void in this vast continent. This book offers invaluably detailed information on Nigerian television as an example of the industry in Africa. The focus on Nigeria is justified as the nation boasts the first TV station in Africa, and the largest TV network on the continent. 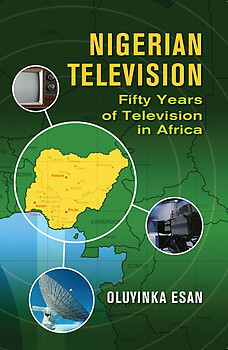 Released in October 2009 Nigerian Television: Fifty Years of Television in Africa was both timely and strategic as Nigeria celebrated the golden jubilee of its television industry (1959 to 2009). Appreciating the challenges, role and prospects of the industry was at the very core of the author?s raison d? ?tre for writing the text. The research effort informing the book has sought to capture factors shaping the encoding practices of Nigerian television in its five decades of operations. The book is primarily an account collated from a range of organisational sources using ethnographic techniques. It examines the pioneering efforts, offering an insight into the use of television as a tool of governance. It shows how central television has been in this process thus revising previous views which, in their celebration of radio as the medium for social mobilisation at the grassroots, have understated the profile of television. This is an account of a significant aspect of cultural life which should facilitate an understanding of the role of television as an important medium in the politics of a nation; especially one with such diverse identity groups and cultures as Nigeria. Oluyinka Esan is a Senior Lecturer in the School of Media and Film Studies at the University of Winchester, UK. Prior to this she lectured at the Department of Mass Communication, University of Lagos. Her research efforts lie within the use of media for social change; spanning a diverse range of subjects including access of women and children to the media, media representations and media consumption patterns of diasporic audiences.